The publishing programme of An Gúm covers the following categories: schoolbooks and teaching resources for both the primary and secondary sector; literature for children and young adults; novels and reference works for the general public plus a growing range of e-books. An Gúm was established in 1926. In autumn 2016 to celebrate its 90th year in the field of publishing a conference was held in conjunction with Lárionad de Bhaldraithe in UCD. Several scholars plus members of the editorial team of An Gúm gave talks about various aspects of its history and publications. A complete teaching programme for the Irish curriculum at primary level comprising a wide range of resources for use in the classroom and in the home. In order to meet the needs of both teachers and pupils for digital resources a team of teachers and designers have developed a new website www.seideansi.ie featuring graded interactive games and language tasks to stimulate and facilitate children in developing their language skills. 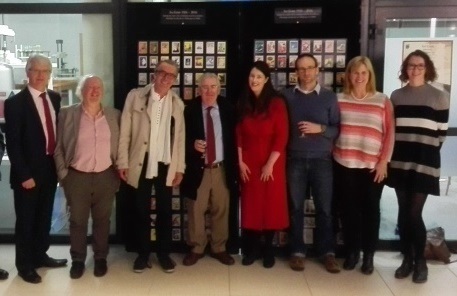 Orna Ní Choileáin, Gabriel Rosenstock, Alan Titley and Áine Ní Ghlinn are just some of the authors whose novels for children and young adults have been published by An Gúm. An Gúm was established in 1926. Until 1999 it was under the aegis of the Department of Education at which time its functions were transferred to the cross-border language body Foras na Gaeilge. From the beginning, An Gúm has been involved in the production of textbooks, dictionaries and general reading material in the Irish language. It has published over 2,500 books and 350 music pieces since its establishment. 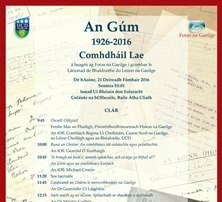 Intially An Gúm had a central role in the effort to revive literature in Irish. 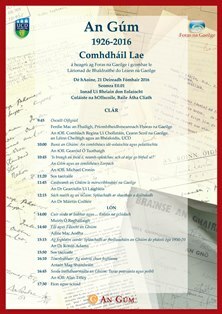 Our large back-list contains a wide range of literature in all the major dialects of the Irish language. After a short period it was felt necessary to augment the small amount of original creative writing available at that time and an ambitious policy of translation was initiated by An Gúm. 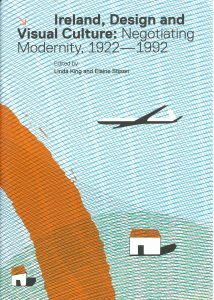 Translations of over 250 titles from both classical and popular European literature were published during the 1930s. 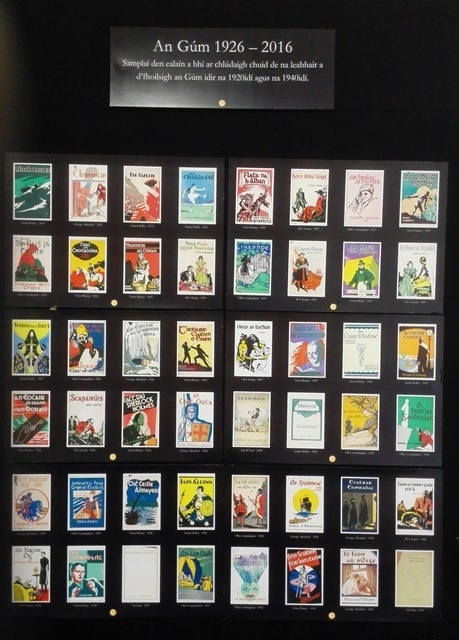 Many of the titles translated were the ephemeral bestsellers of the day but many were classics of their time and are still in print in their original languages. Among the large number of translators were many who went on to become well-known creative writers in their own right. Gradually, as more creative writers came foward with original material, the need for translations became less acute and, from 1940 on, less and less tranlation of literary titles were undertaken. Today, An Gúm publishes very little new creative writing for adult readers, either original or in translation. However, we have a policy of continually reintroducing titles of outstanding literary merit, including some of the translated material. 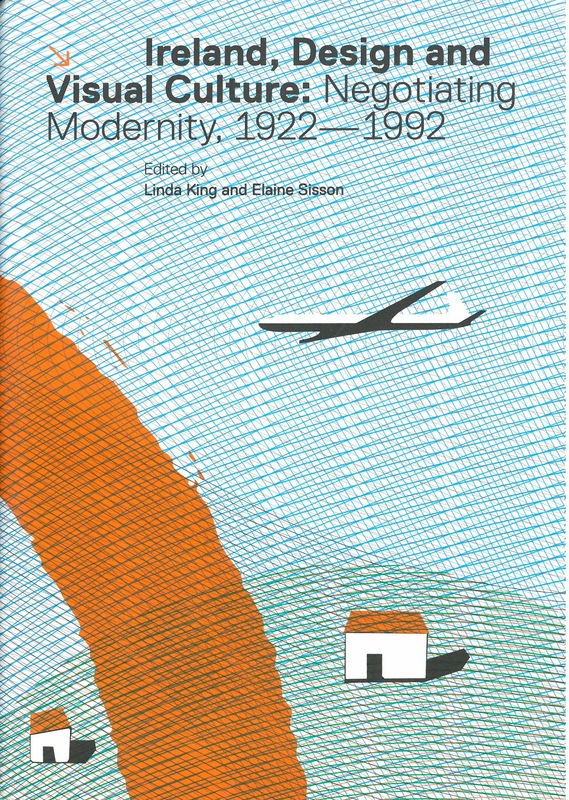 The manner in which the book covers and the artwork of An Gúm’s early titles encouraged the reading of Irish language books is detailed in this book published by Cork University Press in 2011. Chapter 5, written by Brian Ó Conchubhair, entitled ‘An Gúm: The Irish Free State and the Politics of the Irish Language’ describes the history of An Gúm and refers to the manner in which the books’ creative, imaginative design encouraged the public to read Irish language literature. 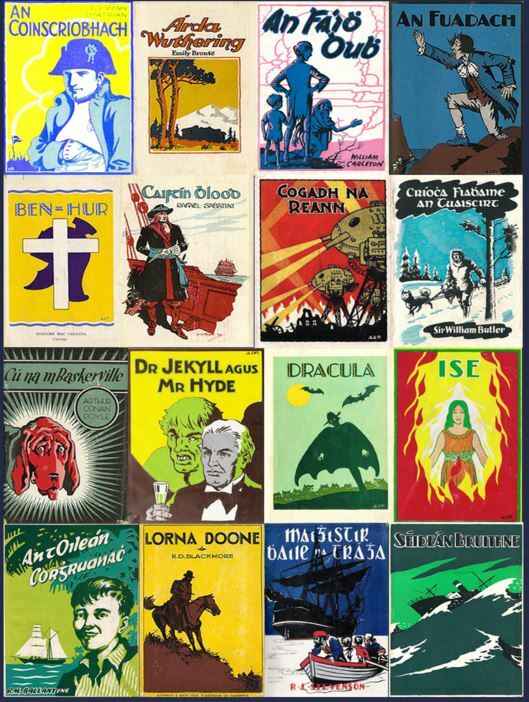 Ó Conchubhair illustrates the pioneering role of An Gúm in Irish book design and its rich design heritage. Among the covers and designs singled out for praise are: Béal na Huaige (1927) translated by Leon Ó Broin and designed by Seán Ó Suilleabháin; and Fiche Gearrscéal (1930), translated by Ristéard Ó Foghludha and designed by Ailbhe Ó Monacháin. 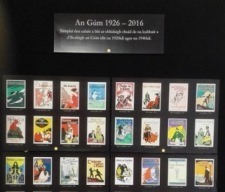 Most of the lexicographical work completed in Ireland in the last century has been in the field of the Irish language and most of it has been carried out by An Gúm. The lexicographical projects completed during that time saw a range of general dictionaries made available – both single language (Irish) and bilingual (Irish/English, English/Irish) dictionaries – and in addition an ever-growing series of specialized terminological dictionaries. Foclóir Póca, our pocket Irish/English and English/Irish dictionary, is an all-time bestseller in Ireland. In recent years the greater part of An Gúm’s output has been in the textbook area but it is probably best known in the wider publishing world for its successful high-quality books for children. Children’s books have been a feature of the publishing programme from the early days of An Gúm but in the last thirty years much more emphasis has been put on this sector. Its current catalogue of children’s books comprises a wide range of original titles and international co-editions. Many original titles published over the years have won awards from various interest groups: educational awards, reading association awards, design awards, printing awards, etc. This is a testament, not only to An Gúm as publishers but also to the expertise and high standard of work available from Irish writers, illustrators, designers and printers.